Synopsis: The crew are split up as The Doctor and Vicki are headed to Rome, while Ian and Barbara are sold into slavery. At the end of The Rescue we had the TARDIS standing on a cliff and falling over. The Romans picks up a month later. This is the first time we see The Doctor and his companions just enjoying themselves and taking time off from danger and adventure. The Doctor and Vicki seem to want to run for some adventure, while Ian and Barbara want to lounge and enjoy themselves. The Doctor will eventually return to the Roman Empire. This episode is one of the best comedic episodes of Hartnell’s run. Barbara, The Doctor, and Vicki are all in the same house with Nero, except The Doctor and Vicki don’t know Barbara is there and vice-versa. They keep on comedically missing one another. 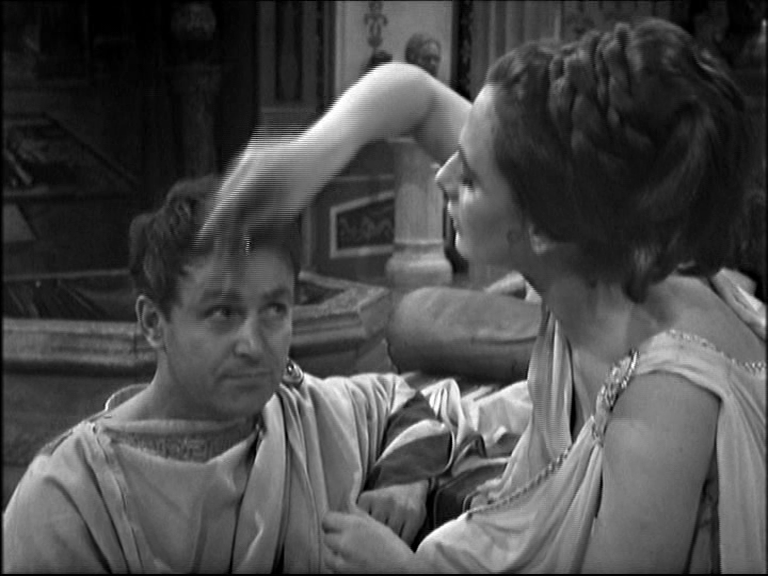 In addition, the actor who plays Caesar Nero, Derek Francis. Francis’ comic timing is wonderful and makes for a great story.